Please find below a list of recent changes to the ipLaser quoting service. If you an LVD user then our latest update maybe of interest. 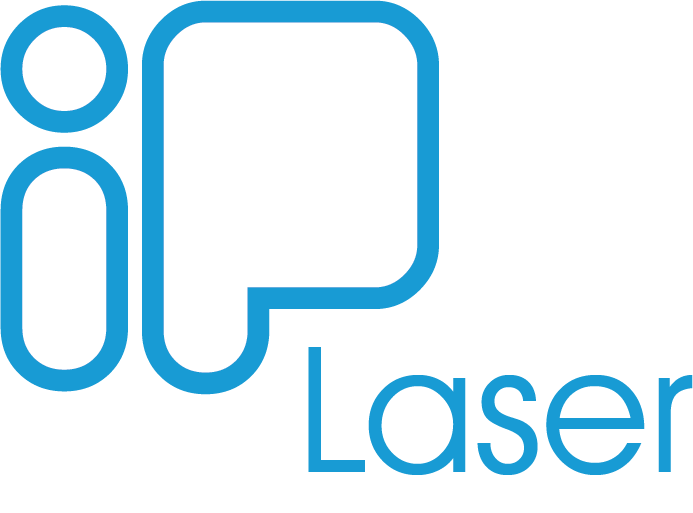 ipLaser can now can generate the necessary data to load work orders directly into the LVD Cadman-Job package https://www.lvdgroup.com/en/products/cadman/cadman-job. 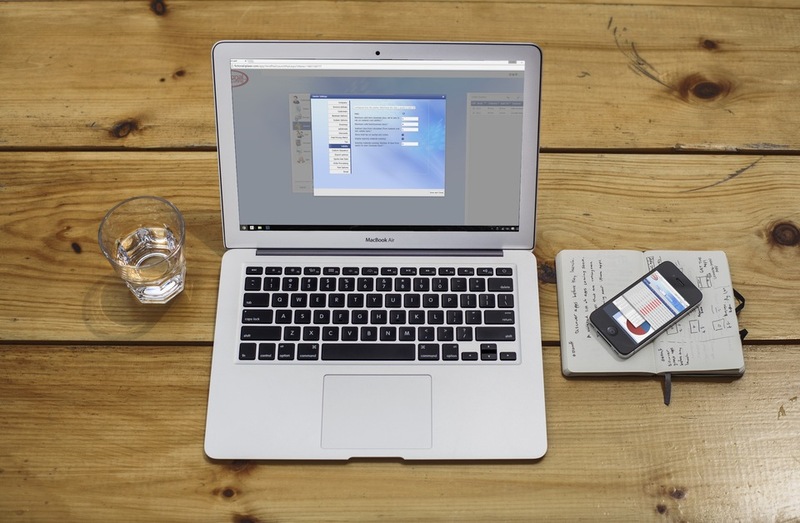 This will be a real time saver for you and eliminates possible manual entry errors. 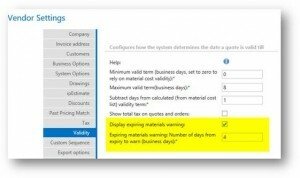 With this release, your sec-op code will be called once for every quantity break in your source quote. So now you can adjust the price of the secondary op based on the requested quantity. Below is an example of how you can use this feature in your secondary operation. 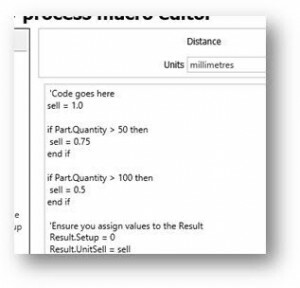 As an example, if you declare your required quantity for an item as “60,1,120”, then the secondary op code below will be called three times, once for each quantity. 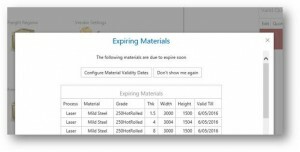 You can now optionally notify users of materials whose price is about to expire. This takes the form of a pop-up that happens when you log-in to ipLaser. For existing users this is off by default. To enable this feature, navigate to “General > Vendor Settings > Validity” as shown below. With this feature enabled, all internal users will see a list similar to that shown below. 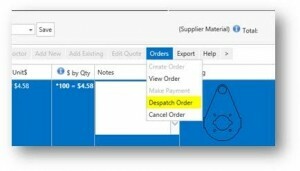 For those vendors that use the ipLaser despatch feature, we have added a link to allow you to despatch direct from the quote.